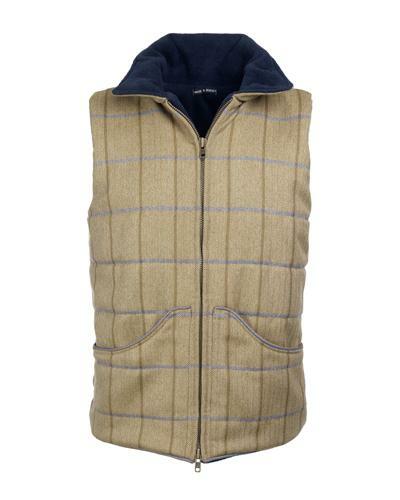 A warm but streamlined gilet featuring triple layered fleece behind a gorgeous tweed from Yorkshire. Finished with a 2 way strong long zip -with 2 large pockets, fleece lined and trimmed with a blue suede. Cut down at the back and up behind the neck to keep out draughts. Pimperne is a soft green olive toned tweed with a subtle blue and olive check.